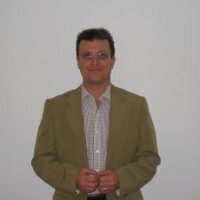 Mike Crimes is a Principal Business Psychologist and Chartered Scientist, and has been on the UK leading specialist register across four global areas of Occupational Psychology since 1999. He has an M.Sc. in Occupational Psychology and a B.Sc. (Hons) in Applied Psychology, and is a full member of the Division of Occupational Psychology, Associate Fellow of the British Psychological Society, Principal Member of the Association of Business Psychologists, with a full Practicing Certificate from the Health Professions Council. In a former life Mike was Head of Occupational Psychology Services for Carlisle Staffing Services (UK’s 5th largest recruitment firm), where he was also Principal Consultant for Psychometric Profiling for the Carlisle Group. Mike is a founding partner of Os2i and the author of ADEPT® – Assessment and Development Event Portfolio for Talent. He is also Principal Occupational Psychologist for the Scala Group (an International Leadership Consultancy), Associate Psychologist for Jungle HR (supporting the Managing Peak Performance Leadership Programme), and member of the Assessment Circle Europe (ACE).